Born at Beaune, France in 1830, Marey went to Paris in 1849 to enrol at the faculty of medicine and to study surgery and physiology. He qualified as a doctor in 1859, and set up in 1864 in a small Parisien laboratory at 14 rue de l'Ancienne Comedie, where he studied the circulation of the blood, publishing Le Mouvement dans les fonctions de la vie in 1868. From 1863, Marey perfected the first elements of his 'methode graphique', which studied movement using recording instruments and graphs. Using polygraphs, sphygmographs, dromographs and other myographs, he succeeded in analysing diagramatically the walk of man and of horse, the flight of birds and insects. The results - published in La Machine Animale in 1873 - aroused much interest and led Leland Stanford and Eadweard Muybridge to pursue their own photographic researches into horse movement. In turn, the influence of Muybridge and of those in Marey's circle, including Alphonse Penaud, led the physiologist to use photography for the study of movement. Marey very much admired the results of Muybridge at Palo Alto, but was dissatisfied with the lack of precision in the images of birds. In 1882, he perfected the 'photographic gun', inspired by the 1874 'photographic revolver' of the astronomer Jules Janssen, and capable of taking twelve exposures in one second. In 1882 the Station Physiologique opened in the Bois de Boulogne, funded by the City of Paris, with Georges Demenÿ as Marey's assistant. Marey quickly abandoned his gun and invented in 1882 a chronophotographic fixed plate camera, equipped with a timed shutter. Using this, he succeeded in combining on a single plate several successive images of a single movement. To facilitate shooting in different positions the camera was placed inside a large wooden cabin which ran on rails. Numerous plates were made at the Station between 1882 and 1888, including the famous 'figures geometriques'. In 1888 Marey again improved his invention by replacing the glass plate with a long strip of sensitised paper. The first 'film' on paper, taken at 20 images a second, was shown (but not projected) at the Academy des Sciences on 29 October 1888. The strip was moved intermittently in the camera by an electromagnet. Two years later, Marey replaced the paper strip with a transparent celluloid film 90 mm wide, 1.20 metres or more long. A pressure-plate immoblised the film and a spring restarted it when the pressure was released. All the cameras which followed were based on the principle first applied by Marey: the intermittent movement of a sensitive film behind an objective lens, the film's static moments corresponding with the opening of the shutter. Between 1890 and 1900, Marey (assisted by Demenÿ up to 1894, then by Lucien Bull and Pierre Nogues) made a considerable number of motion analysis filmstrips of high technical and aesthetic quality- the Cinématheque Francaise alone possesses 400 original negatives - including the very beautiful self-portraits of Marey and Demenÿ, the recording of the movement of a hand, and the famous falling cat filmed in 1894. That year, Marey obtained the resignation of Demenÿ, who wished to exploit commercially his master's methods. Also in 1894 Marey published an important work, Le Mouvement, which covered all his researches. 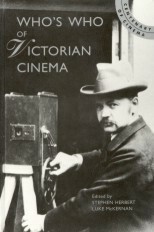 He exercised a considerable influence on all the pioneering inventors of the cinema in the 1890s. His works, widely reported in the international press, were a strong inspiration for Thomas Edison and Louis Lumière, among others. 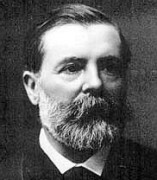 Marey, the real founding father of cinematographic technique, died in 1904. His researches were followed up by Bull and Nogues at the Institut Marey, where they made microscopic, X-Ray and high-speed analysis films.